Trust… It’s right up there on the priority list with expertise when it comes to hiring a contractor to work on your home. In fact, many would put it at the very top of the list, reasoning that if you can trust your contractor, they will make things right if certain details aren’t perfect initially. That said, how do you find a contractor you can trust? Here are some steps you can take before you sign on the dotted line to ensure that you’re dealing with a reputable company or individual that can deliver excellent work. Get recommendations. 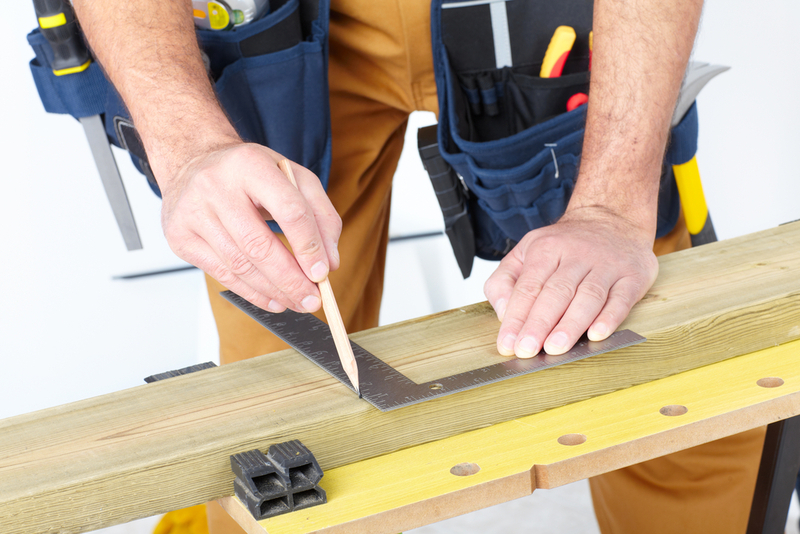 The best way to find a contractor you can trust is to get input from people you trust. Start with friends and family. Check with the Better Business Bureau. Contact trade organizations. Reach out to building inspectors who may be able to provide insight on contractors who get it right the first time. Bottom line: There are many resources out there you can use to get a feel for your options. Talk and then meet. Before you invite a contractor to your home, have a phone conversation. Ask questions including: Do you have experience with this size/type of project? Can you provide a list of past clients? How many other projects will you be working on? Will you provide financial references from banks or materials suppliers? If everything seems to check out, then have them over for an in-person meeting. Get and check references. It’s not enough to have a list of the contractor’s supposedly satisfied customers. You need to call them to confirm that they truly are pleased with the work they had done. It’s also wise to ask them about their relationship with the contractor. Having too many friends and family on the reference list can be a red flag. Visit a job site. If you can, visit a job site and see firsthand how the contractor and crew handle a project. Are they working efficiently? While the site won’t be “clean” in the typical sense, is it orderly? Get a detailed bid. Be sure it’s broken down by materials, labor, and other expenses. Agree on a payment schedule. Generally speaking, you should plan to pay a small percentage at contract signing (10% is common), 3-4 payments as the project progresses, and a final amount when every “punch list” item has been taken care of to your satisfaction. Don’t (necessarily) go lowball. Yes, the contractor that submits the lowest bid may be very trustworthy and do outstanding work. But there’s at least a chance that they are able to come in lowest by cutting corners. A very low bid may also be a sign that the contractor is desperate for work, and that’s not someone you want to do business with — eager yes, desperate no. Put it in writing. Absolutely everything about this business interaction must be in writing. Start and estimated completion dates. Project milestones. Payment schedule. Materials to be used. Proof of liability insurance, etc. A trustworthy contractor will be just as interested in seeing the project clearly outlined as you are. Taking your time and completing your “due diligence” will help ensure that you hire the right contractor and are delighted with the results of your project. At JMC Contracting, you can be assured that our certified, experienced contractors meet all the requirements to make your home renovations, mold remediations, and other contracting needs the right way, every time.